Paper piecing is a technique that allows you to join random sizes of fabric to form a design. How is it different than normal piecing? In normal piecing you are generally joining squares or rectangles to form blocks that are then sewn into rows. In paper piecing you join random sizes and shapes following a design that is on paper. 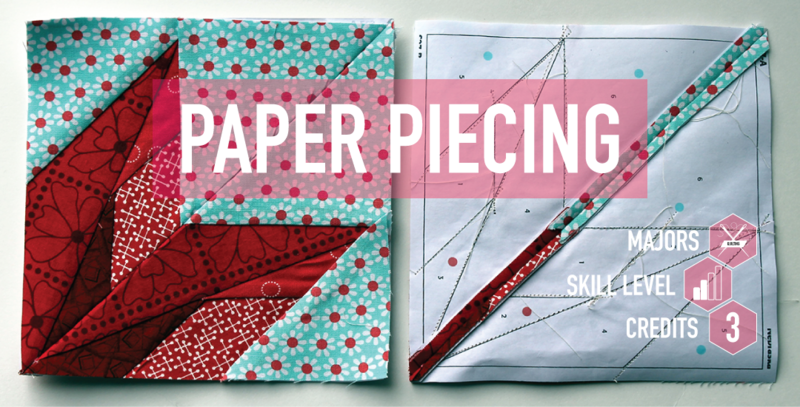 Paper piecing can be very baffling and a technique that many never master. Why? Many instructors have you flipping your paper and fabrics back and forth so much that it gives you a headache. At Smile Spinners we have modified Carol Doak's method so that paper piecing can be mastered in a session. Once you understand the method you can tackle the most difficult designs!